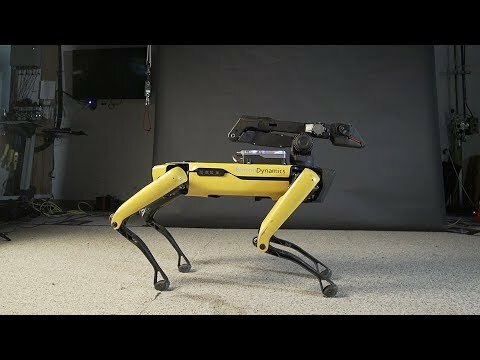 Boston Dynamics is best known for the development of BigDog, a quadruped robot designed for the U.S. military with funding from Defense Advanced Research Projects Agency (DARPA), and DI-Guy, software for realistic human simulation. Early in the company's history, it worked with the American Systems Corporation under a contract from the Naval Air Warfare Center Training Systems Division (NAWCTSD) to replace naval training videos for aircraft launch operations with interactive 3D computer simulations featuring DI-Guy characters. The company is a pioneer in the field of robotics and it is one of the most advanced in its domain. Marc Raibert is the company's president and project manager. He spun the company off from the Massachusetts Institute of Technology in 1992. On 13 December 2013, the company was acquired by Google X (later X, a subsidiary of Alphabet Inc.) for an unknown price, where it was managed by Andy Rubin until his departure from Google in 2014. Immediately before the acquisition, Boston Dynamics transferred their DI-Guy software product line to VT MÄK, a simulation software vendor based in Cambridge, Massachusetts. On 8 June 2017, Alphabet Inc. announced the sale of the company to Japan's SoftBank Group for an undisclosed sum. 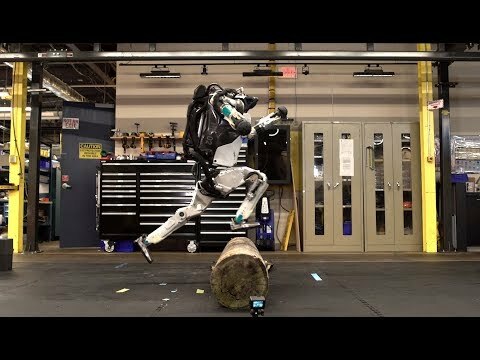 The control software uses the whole body, including legs, arms and trunk, to combine the energy and power to jump over the trunk and jump up the steps without breaking the pace. Atlas uses computer vision to locate itself. 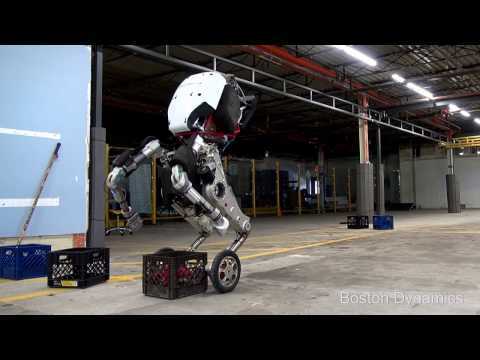 Boston Dynamics has shown a new robot. Unlike robots that the company previously made, now with wheels that are attached to the legs.